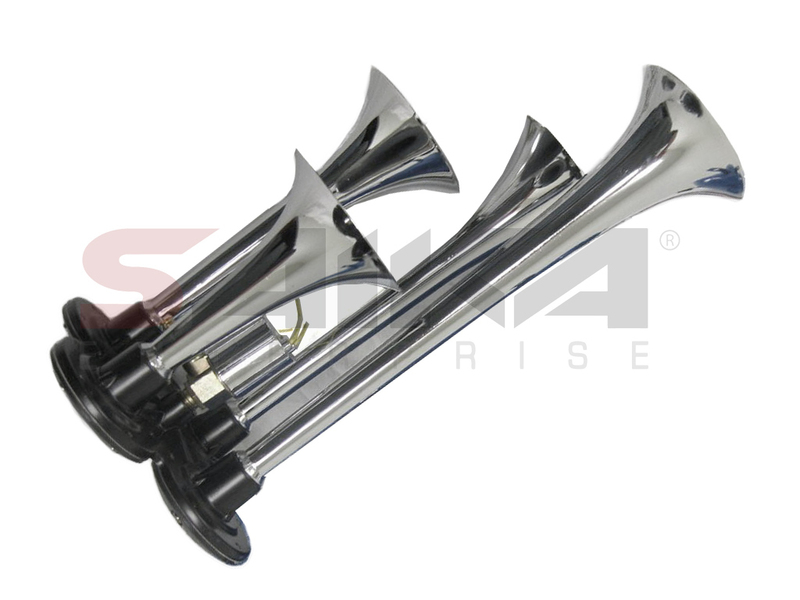 Saika Enterprise : TR04 - Quadruple Chrome Trumpet Train Air Horn [TR04] - Contact for Price! TR04 - Quadruple Chrome Trumpet Train Air Horn Contact for Price! This horn will work on any 12v or 24v system. Triple Trumpet-Triple Tone Sound Air Horn.